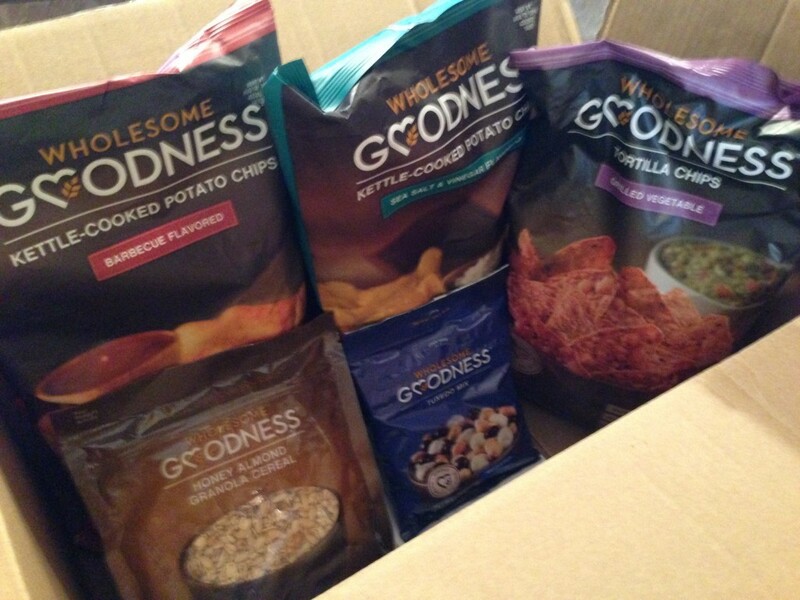 A couple of weeks ago I received a package of goodies in the mail from a company called Wholesome Goodness. Wholesome Goodness’ mission is to provide consumers with simple, naturally delicious, nutritionally dense foods that are affordable. I’m always looking for new, healthy snacks so when I was asked if I wanted to try some of their products I was definitely on board! Wholesome Goodness’ products include chips, hot and cold cereals, granola bars, trail mixes, beverages, dressings, pasta and BBQ sauces, salsas, and broths. Although they are not sold in stores anywhere in the Chicago area, you can buy all of their products online through Amazon and Peapod. Retail stores like Rite Aid carry their products in store. The products I received are: BBQ Kettle-Cooked Potato Chips, Sea Salt & Vinegar Kettle-Cooked Potato Chips, Grilled Vegetable Tortilla Chips, Honey Almond Granola Cereal, and Tuxedo Trail Mix. BBQ / Salt & Vinegar Chips – Although I’m not sure how healthy any chips really are, they both tasted really good. Compared to Kettle Brand chips the amount of fat is a little lower and the sodium is a lot less which is great. Both flavors I sampled were really tasty! Tortilla Chips – I can’t say enough good things about these chips – they are so so good! Not overly salty and you can really taste the roasted vegetable flavor. I ate these plain but imagine they would be great with salsa or guacamole. Granola – I’m a huge yogurt and granola fan so was most excited to try this. You can really taste the honey and coconut oil flavors which I loved. It has the perfect crunch and isn’t too sweet. There are only 3 g of fat for 2/3 cup which is pretty good. Trail Mix – Kevin definitely hi-jacked this and took it to work before I had the chance to try it. I got a text from him during the day saying that he really liked the trail mix so I will take his word for it! The tuxedo trail mix consists of yogurt covered raisins and peanuts, peanuts, and dark chocolate covered soy nuts. They have three other varieties as well so I would love to try those too. Overall, I really loved all of the products I was sent. I would definitely purchase these on my own and would recommend others to try them as well. 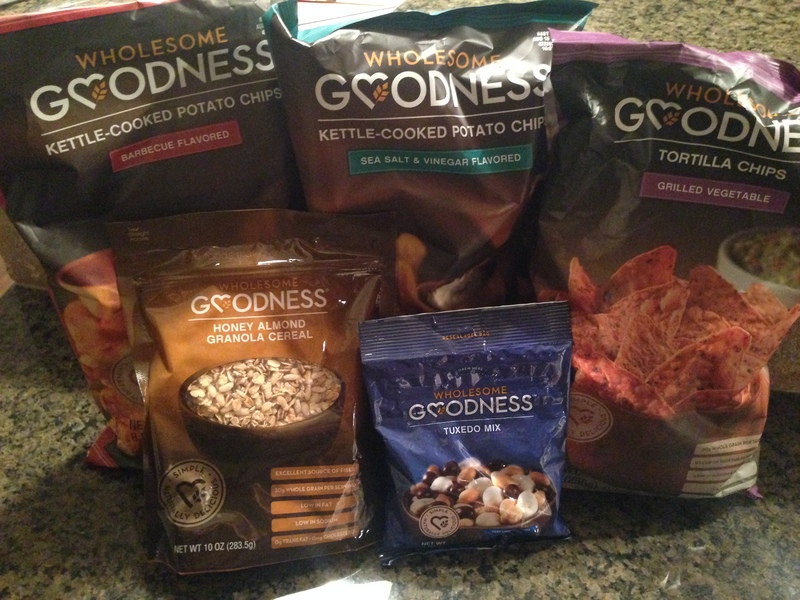 I received all of these products to try complimentary from Wholesome Goodness, but all opinions are my own. Now onto a little WIAW action! 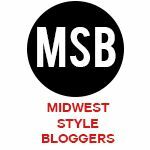 Linking up with Jenn again this week. 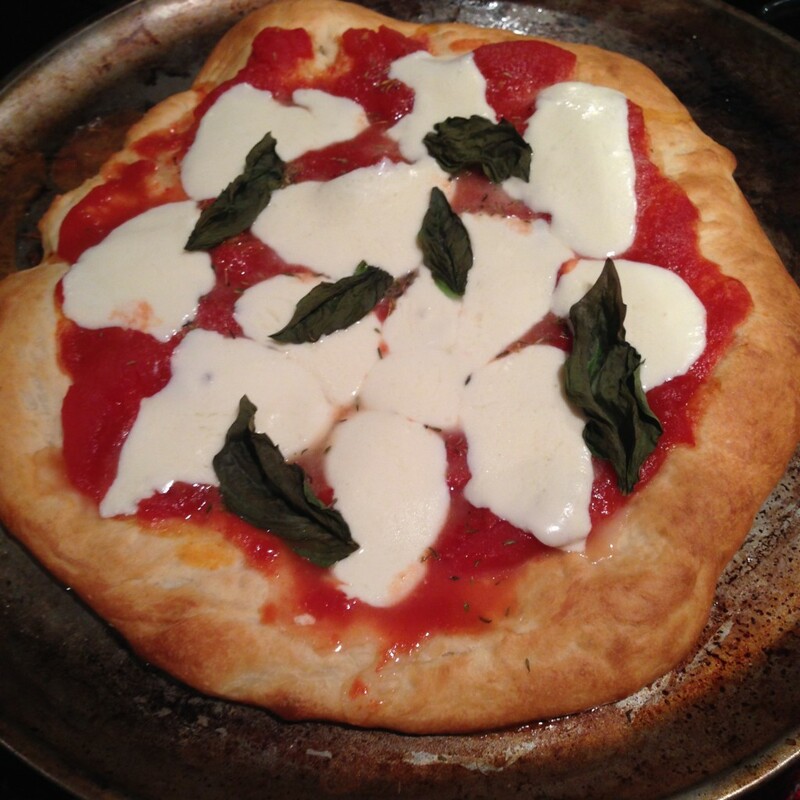 You all know my favorite food is pizza and one of my favorite things to do is make different kinds of pizza at home. I picked up some fresh pizza dough from Whole Foods and topped it with crushed tomatoes, fresh mozzarella, and fresh basil for a simple but delicious Margherita pizza! And what goes better with pizza than ice cream! 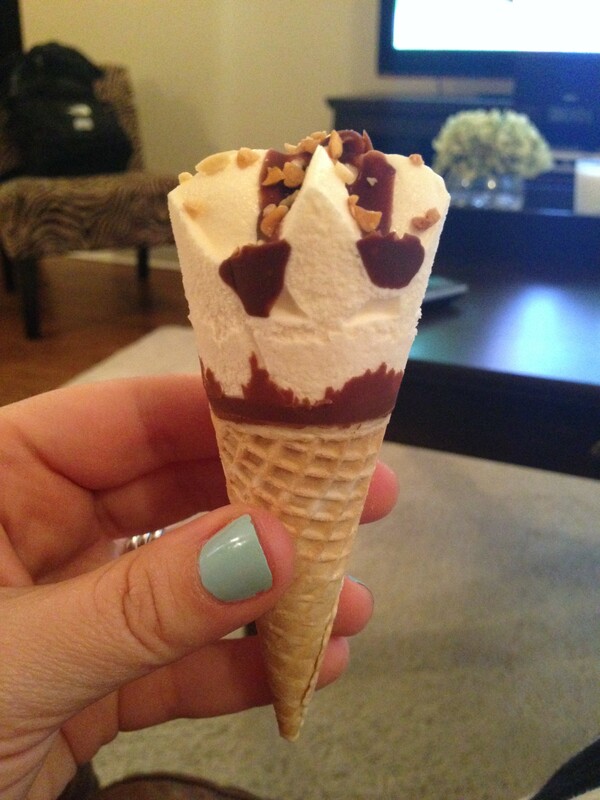 A Lil’ Drumstick for dessert did the trick! Yum! I am going to have to try some of those tortilla chips. Happy WIAW! Yes, I definitely recommend them! Very tasty!